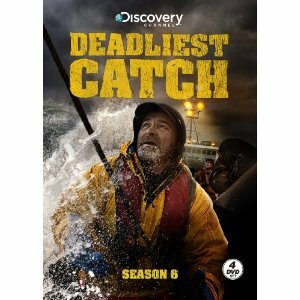 It’s the ultimate after-show for the ultimate show….Go behind the scenes with the captains and crews of Discovery’s Emmy(R) award-winning DEADLIEST CATCH with an all new season of AFTER THE CATCH premiering Tuesday, June 19 at 10 PM (ET/PT). 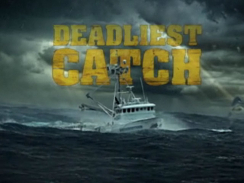 AFTER THE CATCH airing each week after the premiere of DEADLIEST CATCH – takes a deeper look at one of the most dangerous jobs in the world and the men who do it. This year, America’s favorite crab fishermen say Rocky Mountain hi to one another, swapping tales of the Bering Sea and dropping anchor in beautiful Breckenridge, Colorado. Mike Rowe (host of Dirty Jobs and narrator of DEADLIEST CATCH) and the guys huddle at Breckenridge’s famous watering hole – The Whale’s Tail – for best bull session on television. Don’t miss the fireworks.